The Oakridge Trail begins at the rear of the park on the north side. The trail consists of moderate terrain with easy changes in elevation and limited shade. 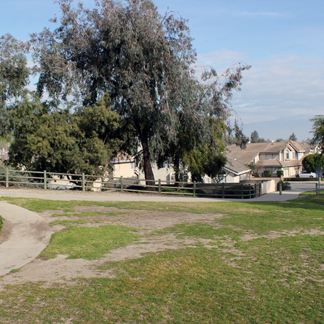 Hikers will enjoy a peaceful, short walk behind the Crown Ridge Estates neighborhood. The Oakridge trail ends at the corner of Glen Ridge Drive and Georgetown Lane. 3. Glen Ridge Dr. and Georgetown Ln.